According to a study conducted at Standford University, those that are clinically diagnosed with depression are more at risk of developing sleep apnea compared to those that are not depressed. The study showed that those with depression were five times more likely to be diagnosed with sleep apnea. Researchers are still studying whether or not the depression or sleep apnea starts first, but either way, there is a strong correlation between the two. The UCLA Sleep Center has also done a tremendous amount of research on sleep disorders and has found that depression may not be the reason for not sleeping well at night, but that depression symptoms may occur due to an underlying sleep disorder. The most common sleep disorder is sleep apnea. Sleep apnea causes the body to miss breathes during your sleep which prevents the flow of oxygen to the brain. To better understand how depression and sleep apnea are linked, it’s important to understand what sleep apnea is, what the noticeable symptoms are, and how it’s treated. What Happens When You Have Sleep Apnea? Disruptive snoring is typically noticed by your bed partner. Extremely loud snoring is usually followed by a noticeable pause and then a huge gasp for air which may or may not wake you during the night. This is typically noticed by your bed partner as well and is very scary for most people that witness it. You can actually hear the pause in breathing and may wonder when the person is going to start breathing or snoring again. Many people with sleep apnea experience a dry mouth when they wake up in the morning or may even have one during the day. Most people with sleep apnea are mouth breathers, so when the air is ingested through the mouth, it tends to dry out the mouth and throat and saliva is not produced as abundantly. Waking up to a dry mouth or a sore throat are both normal symptoms of sleep apnea. The flow of air continuously passing down the throat during your sleep tends to dry out the mouth and decrease saliva production. This, in turn, dries out the throat and may become irritated or scratchy. This is one of the most noticeable symptoms of sleep apnea and is usually witnessed by another bed partner. Your body needs oxygen in order to survive and sleep apnea seriously decreases the flow of oxygen to the brain. This is not only dangerous but impacts a good night’s sleep for your body. When you are not well-rested, you tend to lack energy throughout the day. This goes hand in hand with daytime drowsiness. Many people endure long commutes to and from work and sleep apnea may put you at risk of falling asleep at the wheel during your commute. An oral appliance resembles a sports mouth guard or mouthpiece. Its purpose is to hold the jaw in the optimal position in order to keep the airway open and clear, thus preventing snoring from occurring. Oral appliances are effective at treating snoring, but only some are approved to treat sleep apnea. There are several types of surgeries that can stop snoring and sleep apnea altogether. These surgeries include the Pillar Procedure, a tracheostomy, maxillomandibular advancement, or a uvulopalatopharyngoplasty. Depending on the surgery, some can be minimally invasive and can be done in a few simple outpatient visits. Others require overnight stays and up to weeks or months of recovery time. CPAP Therapy is the most common treatment for sleep apnea. CPAP stands for continuous positive airway pressure. The CPAP machine has become widely used in the sleep disorder industry. The machine itself constantly pumps oxygen through a hose and into a nose or face mask. This positive flow of oxygen prohibits the body from pausing and missing a breath. The machines have come a long way in recent years and are very quiet, small, and are easy to travel with. Most insurance providers cover CPAP therapy. You must consult with your doctor if you think you have sleep apnea so they can schedule a sleep study. If you are officially diagnosed, the CPAP therapy will be the first recommended treatment for your sleep disorder. 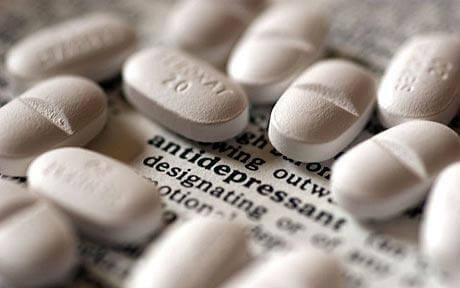 There are several different types of antidepressants on the market that are used to treat depression. The most common types of these medicines are known as SSRI’s which are selective serotonin reuptake inhibitors. These medicines re-balance any chemical imbalance in the brain which is most likely the culprit of the depression. 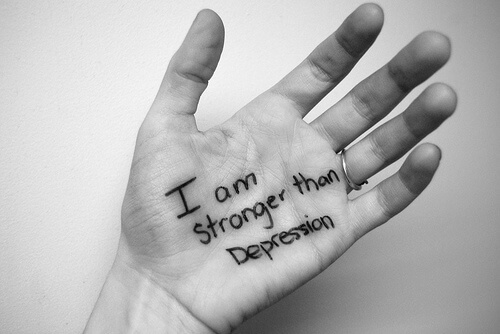 Psychotherapy is a treatment option for those who do not want to be put on antidepressants for various reasons. It involves talking through a series of topics that relate to your lifestyle, work, and personal life with a psychologist. Psychotherapy is not for everyone, but it is an effective treatment for depression. There are other natural holistic treatments out there that can positively benefit someone that is depressed. The most common forms of holistic treatments include regular exercise, yoga and natural breathing exercises, the use of essential oils, and changing your diet to one that is all natural, healthy, and balanced. Sleep apnea can be very disruptive if it’s gone untreated. It may cause daytime drowsiness and can impact your family life. All of these complications may just be a recipe for depression. Sleep apnea and snoring can impact your daily routine and quality of life. A good night’s rest makes you alert during the day, gives you more energy, helps to think clearer, and promotes good decision making. If you suffer from snoring or sleep apnea, all of these positive impacts from not getting sleep can be turned upside down and may lead to depression without you even seeing the connection. The above symptoms are found in both sleep apnea and depression. It’s difficult to define which symptoms started with sleep apnea or with depression, but the point is that they do relate to each other and one disorder may link the other. In conclusion, the similarities between sleep apnea, snoring, and depression is very similar. It’s difficult for doctors to blame one causing the other, however, their symptoms correlate tremendously. Consult your doctor if you think you suffer from sleep apnea or depression. There are treatment options for both and you deserve a good night’s sleep and a healthy mind. Next post: Sleep Apnea and Headaches – Why Do I Constantly Have a Headache In The Morning?